Dental and health related information. One of the great things about dentistry is being able to enhance patient’s lives so significantly. Allowing people to look better, smile more readily, be free of pain, chew and function normally, live longer and have nice fresh breath for speaking and kissing are just a few of the things we do to improve the lives of everyone we touch. Even the most basic dental procedures are incredibly important – without good dental hygiene and regular cleanings millions more teeth would be lost every year. We hope you enjoy our blog and find the information within useful and sometimes even entertaining. Boost Your Confidence with a Beautiful Smile! Acreview Dental Clinic is one of the best places for Cosmetic Dentistry in Courtenay. We offer a wide range of treatments such as tooth whitening, veneers, smile design, and dental implants. 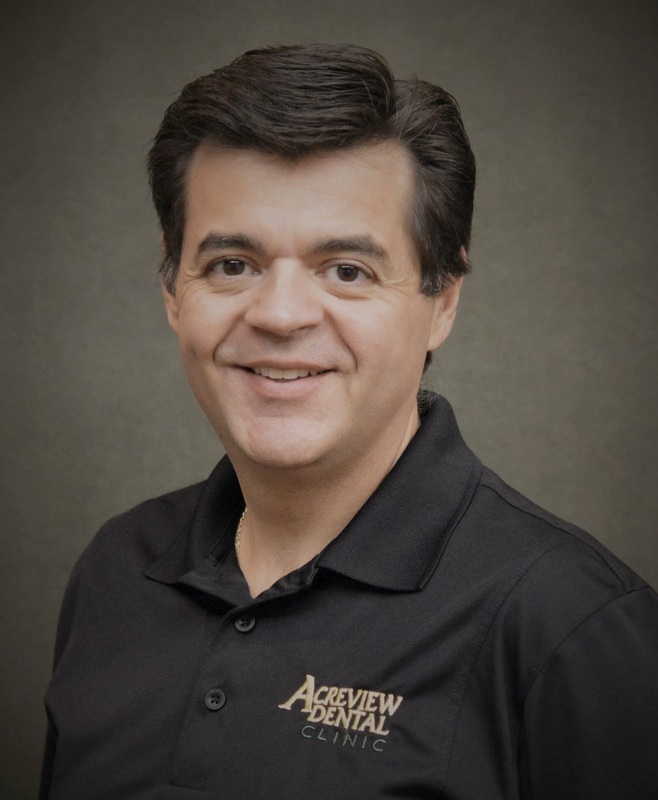 At Acreview Dental Clinic, our experts will complete a comprehensive oral evaluation, and take the necessary x-rays to evaluate the condition of your mouth, teeth and gums to ensure you have good oral health before starting any cosmetic treatment. In a consultation with the dentist and our treatment coordinator, you will receive a treatment plan and estimate explaining the fees and time required to complete the proposed treatment. When your treatment is complete it is important to maintain good oral health. Regular check-ups and visits to your dentist will help maintain your cosmetic dental treatment and keep your smile healthy for a long time. 1. Regular periodontal screening will make sure that the gum tissue is healthy and will secure and support the dental restoration for a long time. Also, ask your dentist and hygienist about proper techniques for home care of your teeth. 2. Brushing your teeth twice or thrice a day will remove surface plaques and stains and keep your gum tissue in good health. 3. Flossing is an additional measure to remove food particles between the teeth and also to massage the gum tissue. It will also minimize the build-up of plaque between the teeth and will thus help to increase the life of your dental restorations. 4. Biting on hard substances like ice or pens and holding things between your teeth may harm your cosmetic restorations. Never use your teeth as a clamp or a cutting tool. 5. Toothpicks can injure gum tissues and so should be used only when necessary and should be used with caution. Acreview Dental Clinic can help you by giving you the smile you have always wanted. For more information or to schedule your Comprehensive Oral Evaluation, call us today at 250-338-9085! 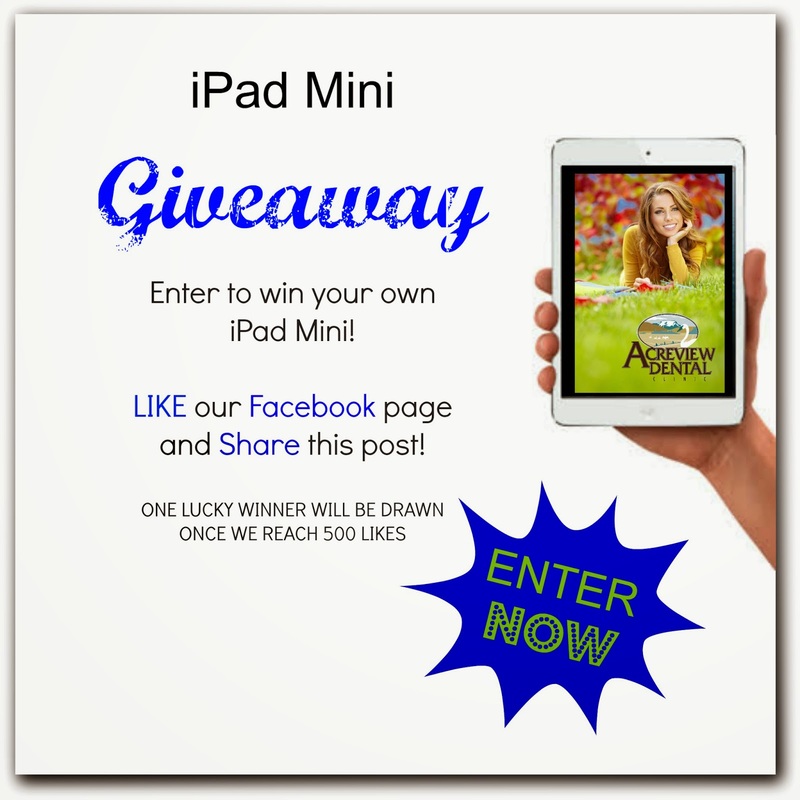 Enter our contest to win an iPad Mini! 1. LIKE our Facebook page and SHARE the contest post. 2. Become a NEW PATIENT at our clinic. and providing them with the best dental care possible. 3. REFER a friend or family member to our clinic. than recommending us to your family and friends. *Once we reach 500 LIKES on our Facebook page, one lucky winner will be announced. To schedule your New Patient Experience today, call 250-338-9085. One of our friendly reception team members will be happy to assist you. A visit to the dentist… What better time to get a paraffin treatment? 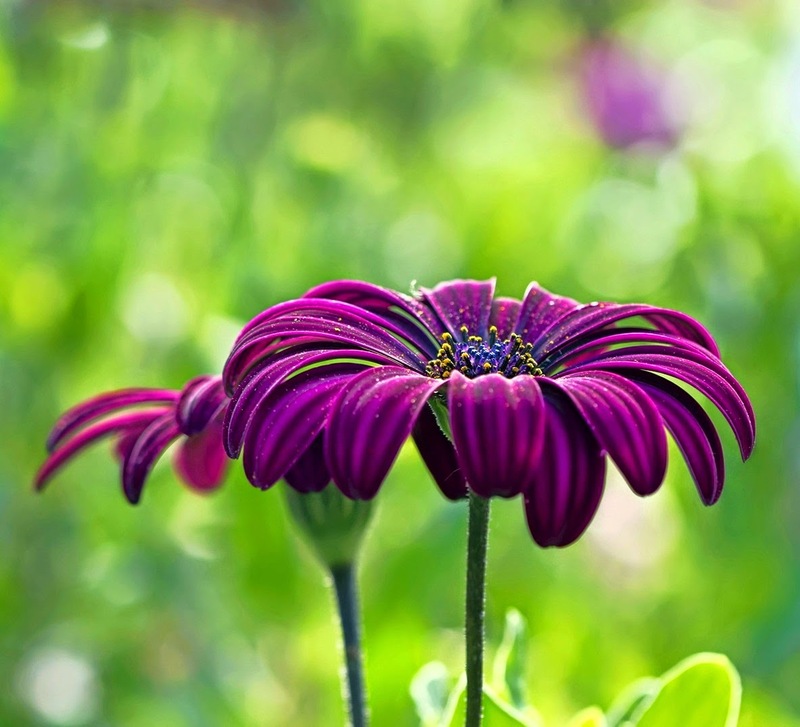 With summer here, we are starting to enjoy our beautiful gardens and fun outdoor activities with family and friends. Unfortunately, working to beautify the garden and basking in the warm, dry air also means we're likely to be experiencing dry skin. Contrary to what some may think, paraffin wax treatments are not just for prettifying hands. They also offer many health benefits. The wax used in paraffin treatments is a soft type which melts without burning the skin. When the melted wax is applied to the hands, the gentle and even heat increases blood flow and relaxes the muscles. The result is relief from joint stiffness and pain, as well as increased range of motion. This is an effective therapy if you suffer from ailments like arthritis or tendonitis, or if you've overworked your hands, leading to soreness and fatigue. During the heat of the summer months, our skin is prone to drying out. Paraffin treatments help prevent this by opening up the pores and allowing the moisturizers to work their magic. Dead cells are removed when wax is peeled off leaving softer, touchable and more comfortable skin. This is not often a word associated with a visit to the dental office. Another, often overlooked benefit of a paraffin treatment is aromatherapy. Essential oils present in the paraffin add to the overall relaxing experience. "I have always received excellent dental care with Dr. Burry and his experienced professional staff. The atmosphere is pleasant and welcoming and treatment is always done with care and consideration for my comfort. Also I received a hand wax treatment...what a delightful soothing extra!" – Anne D.
"This is practice provides amazing service and care. I feel confident the workmanship done is of top shelf quality and done because it was required! Thank you to Dr. Karamanis. Oh and my gardening hands want to say thanks for the paraffin wax treatment too!" – Sylvia H.
"Very friendly from start to finish - didn't feel rushed especially enjoyed the hand wax treatment while getting my cleaning done very relaxing and enjoyable." – Linda P.
"I appreciate that your clinic utilizes the latest advances in equipment technology. This results in a shorter appointment, but most importantly, allows my hygienist to give me a far superior, more thorough cleaning than manual instruments alone. I love the paraffin hand treatment. What a wonderful calming experience. And these are not words normally associated with a visit to the dentist. Terrific idea!" – Deborah R.
"Loved the paraffin hand treatment...would highly recommend!" - Rhonda S.
"The warm wax treatment for my hands was very relaxing, highly recommended." – Barbara O. "I really loved the paraffin wax hand treatment. A really relaxing extra. I told my ladies night golf team and now they all have dentist envy!" – Angie A. Use our teeth to open a bottle cap, tear a piece of fabric, or for any other non-dental use. Teeth have many functions, including biting and chewing food, smiling, aiding in proper speech, and more. Using them for things other than these can result in injury that can be difficult and expensive to repair! Ignore any kind of dental pain or swelling. When your body is trying to tell you something, it is important to listen! While dental pain or swelling does sometimes temporarily go away, that doesn't mean the underlying problem has resolved. Treating problems early is always the best solution. Think that bleeding gums are "normal". If blood were coming out of the ear (or any other body part) most people would be concerned. For some reason, many people think that bleeding gums are normal. they aren't! Gums that bleed are usually sensitive or swollen, indicating that there is an underlying infection which could lead to tooth loss. Remember - visiting us for regular hygiene visits will aid in early detection of any gum or tooth problems. Eat something and then go to bed without brushing. The flow of saliva decreases during sleep, and yucky morning breath isn't the only problem it causes! Night time is the right time for sugars, bacteria and food debris to wreak havoc on your pearly whites. Always make sure to give your teeth a thorough brushing before going to bed. Play any kind of sport without a mouthguard. It is estimated that up to 40% of dental injuries occur while playing sports, most of them involving the front teeth. Practically all of these can be prevented by simply wearing a mouthguard. It is an inexpensive and easy procedure (as compared to the over $500 million spent each year repairing dental sports injuries!). Make dental care decisions based solely on dental benefit coverage. While dental benefits can be a great help in offsetting some of your dental costs, coverage does not indicate which treatment is best for you. At Acreview Dental Clinic, we will work with you to maximize your benefit coverage, make suitable financial arrangements, AND provide the best treatment possible! It is our goal to perform the highest quality dentistry in an affordable manner. Go a day without smiling! Smiling benefits your mood, boosts your immune system, makes you look younger, relieves stress, and is contagious. Why would we go a day without it?! We are here for you at Acreview Dental Clinc. If you would like to discuss any of these points or are in need of a recare examination, hygiene visit or consultation, please give us a call today at 250-338-9085. We came across this interesting diagram today that we would like to share with you regarding tooth loss. The statistics are based on scenarios in the UK but here in Canada, hygiene practices are very similar and scenarios are quite comparable. This diagram points out that the problems of tooth loss are not inevitable if you replace the lost tooth with an implant. Along with the physical challenges of having missing teeth, many people experience a decrease in self confidence and as a result they smile less. You deserve to be the best you can be and feel confident with your smile. If you have missing teeth and would like to see if you are a candidate for a dental implant placement, call us to schedule an evaluation and consultation. Both Dr. Burry and Dr. Karamanis perform implant placement procedures here in our office and can help you to restore function and your smile. Call us today with any questions and one of our team members will be happy to assist you. 250-338-9085. Any time you visit our office for treatment, we welcome you to experience a complimentary paraffin wax treatment for your hands. We will dip your hands in warm paraffin wax and wrap them to hold in the warmth and moisture. This works wonders to not only rejuvinate your skin, but also the deeper tissues and joints. Our waxing units are located in the hygiene rooms but you may request this treatment at any appointment. Also, feel free to enjoy a beverage of Coffee, Tea, or Water - always available to you when you arrive. Call us today at 250-338-9085 to schedule your next hygiene visit and dental 'spaaahhh' experience. How can you protect the nerves of your teeth? 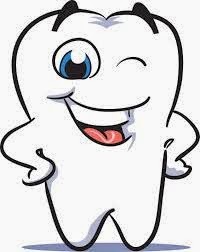 Practice Diligent Oral Hygiene - Daily brushing and flossing will help prevent cavities from forming, and protect the nerve of the tooth from disease. 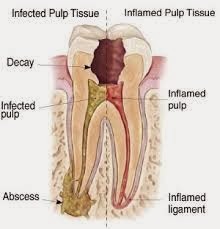 A cavity left untreated allows the tissue inside the tooth to become decayed and infected. Protect Teeth from Trauma - Trauma to a tooth can cause degeneration of the nerve tissue. In all contact sports, or in a sport where there is risk of falling and injury, wear a mouth guard. This simple appliance can help to prevent fractures and loss of teeth due to sports injuries. Grinding and clenching is also a form of trauma that can lead to nerve inflammation and damage to your teeth. Your dentist can identify signs of this habit that you might be unaware of and can recommend a night guard to help protect your teeth. Early Detection - Visit your dentist regularly for oral hygiene visits and check-ups. At your regular visits, early stages of decay and other conditions can be diagnosed and followed up with treatment to maintain optimum oral health. Perform Treatment Recommended by Your Dentist -Your dentist is able to see your teeth differently than you are and has the technology available to detect issues that may be posing a threat to your teeth. Your dentist will make a diagnosis and recommend treatment to help you preserve your teeth. Quickly addressing treatment that has been diagnosed will help you to avoid major dental treatment such as root canal. Eat Healthy - Much of the food we consume today is highly processed and contains many ingredients that aggressively promote tooth decay. If your diet contains high amounts of refined and processed foods instead of a diet rich in whole, unprocessed or raw foods, you are at a greater risk for tooth decay. Consumption of carbonated beverages and sports drinks also help to create the perfect environment for cavities to begin. Avoid these beverages and choose water instead. For more information on how we can help you to maintain your beautiful smile, call us today at 250-338-9085. Click on the picture for a video clip.